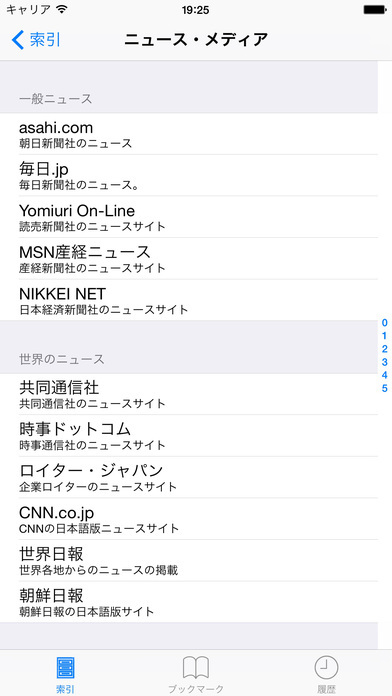 This application give you a direct and quick method to access well-used web sites which mainly are in JAPANESE. 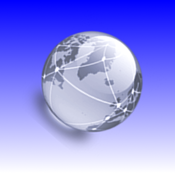 These sites provide a lot of helpful information about life, work, study, etc. 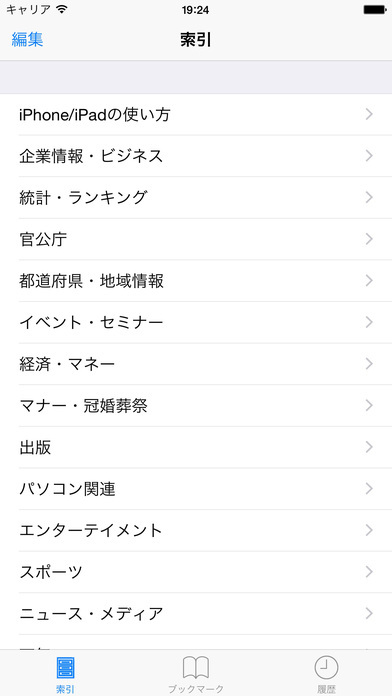 You also can learn Japanese by viewing these pages. 1, You can view 700 web sites without inputting URL and starting the default browser in your device. 2, You can reorder the menus on Index screen, and move your favorite items on the first. Touch the Edit button on the Index screen, then try to move the row while touching the right gray marks on the row. 3, You can save the screen shot to photos or mail the page's link to your friends while viewing the web page. 4, This application provide the following functions that help you to shift web pages quickly. go back, go forward and tabbed views(the max count of tabbed views is 6). If your use this application in landscape mode, the toolbar on the screen will be hidden, so that you can view the page in full screen mode. if you turn the device to portrait mode, the toolbar will be shown again. 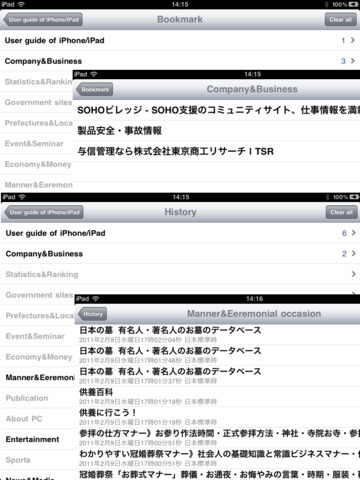 All the pages you viewed will be recorded in the history, you can view them again from the history screen. You can add your favorite pages into bookmark.